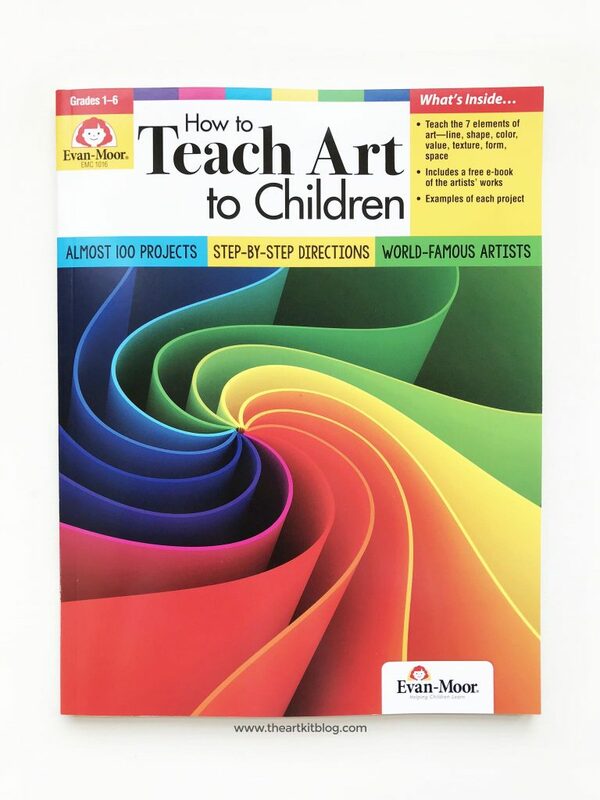 If you’re looking for an easy-to-implement art education for your children, Evan-Moor’s How to Teach Art to Children is the book for you! 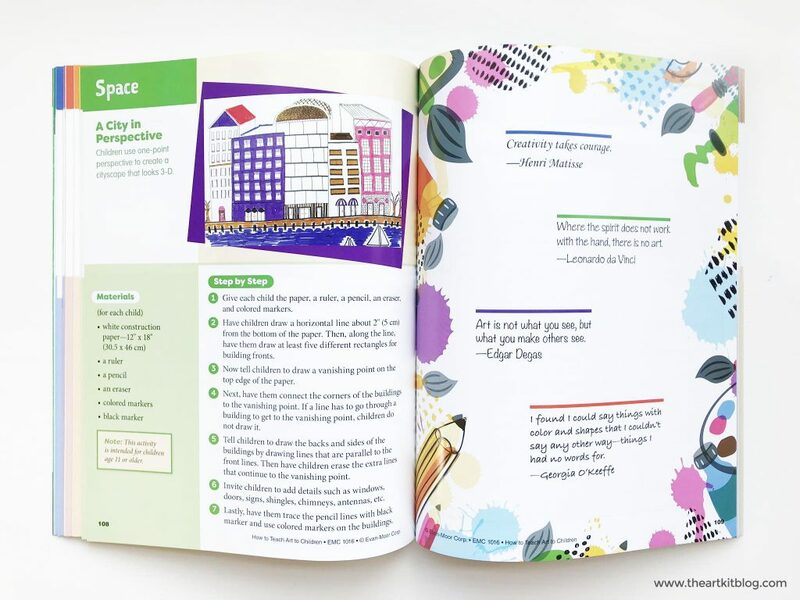 With nearly 100 projects, easy to follow step-by-step directions, and examples of each project, you’ll enjoy teaching your 1st-6th graders all about art, whether you’re a novice or experienced artist. To read our full review and see a few sneak peek photos of the inside, please continue reading below. 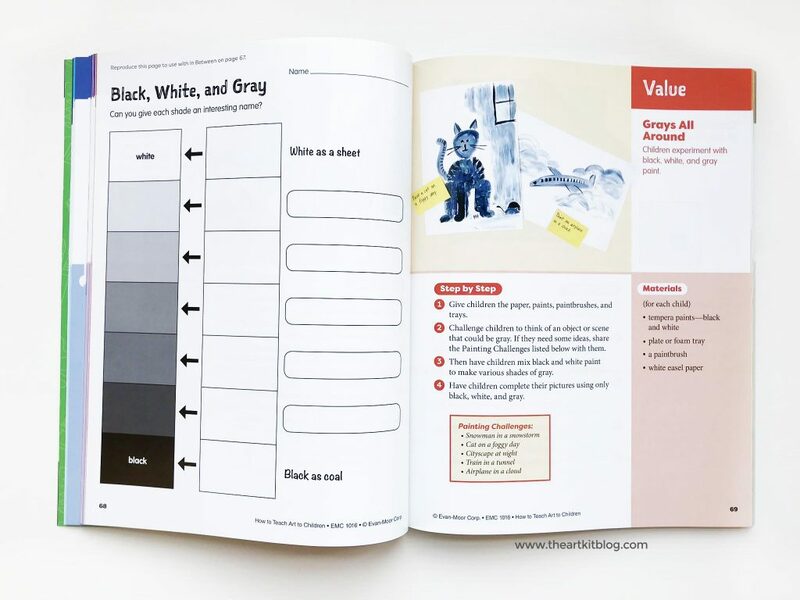 From the publisher: How to Teach Art to Children is designed to increase children’s awareness of the different kinds of art. It gives children a wide range of experiences and helps them to appreciate the art around them. Most importantly, it lets them know that there is no wrong way to do art. First, you’ll learn about the seven elements of art – line, shape, color, value, texture, form, and space. Then, you’ll learn how to use them. 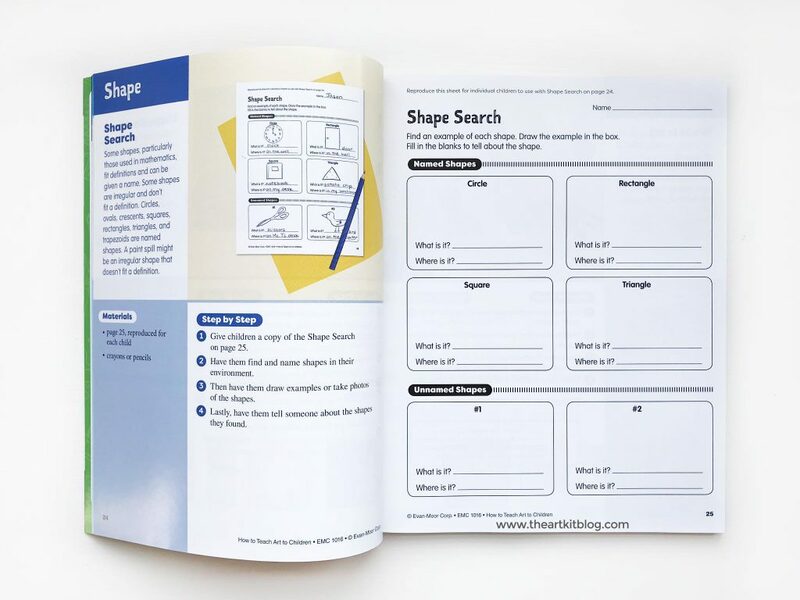 Each page includes an introduction, material list, and clear step-by-step instructions. You’ll love how simple it is to teach art to children and your children will love the engaging activities! 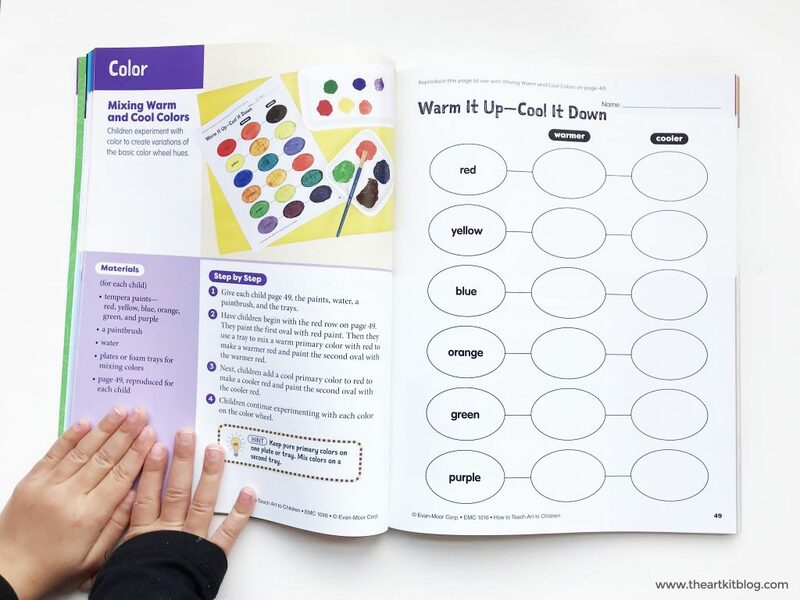 If the fun activities don’t draw you in (pun intended 😉 ), the bright colorful pages will! The kids and I had so much fun going through the book and are excited to select their next art project. 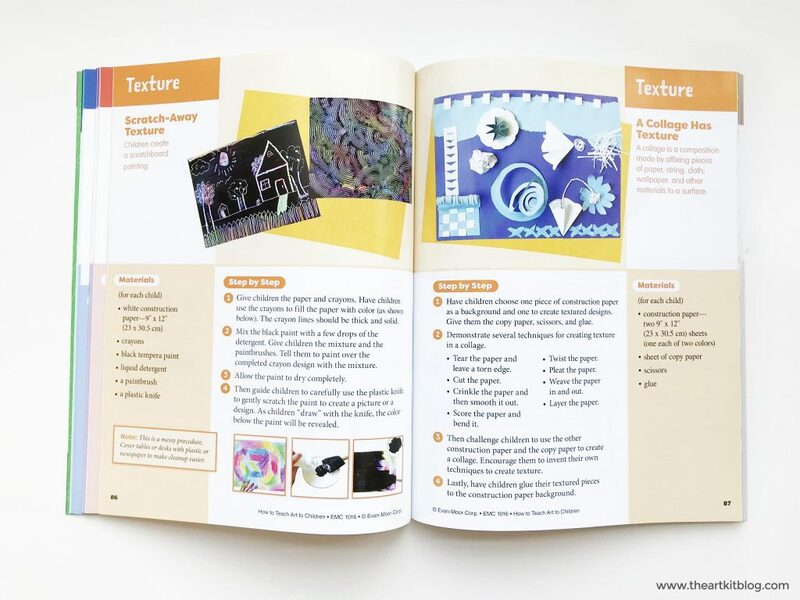 The texture collage art project looked particularly fun and even reminded us of a previous KidArtLit box we worked on. 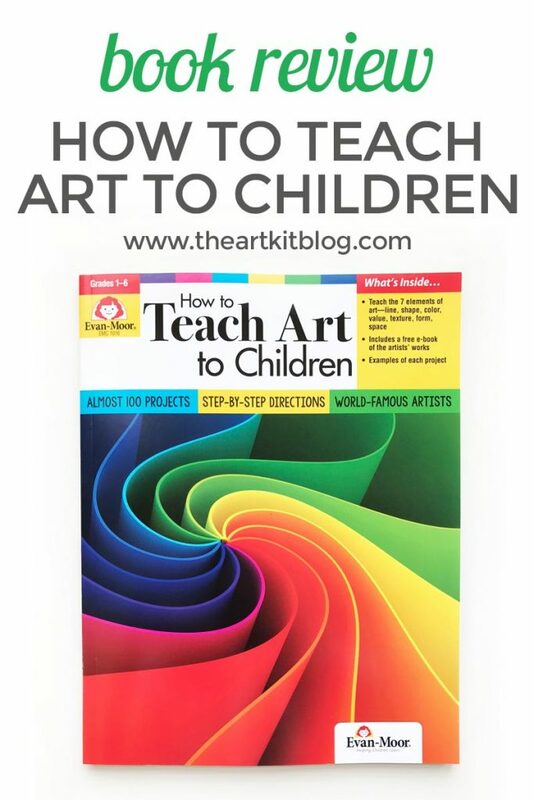 How to Teach Art to Children has become our new favorite art book for children and we can’t wait to complete each lesson! 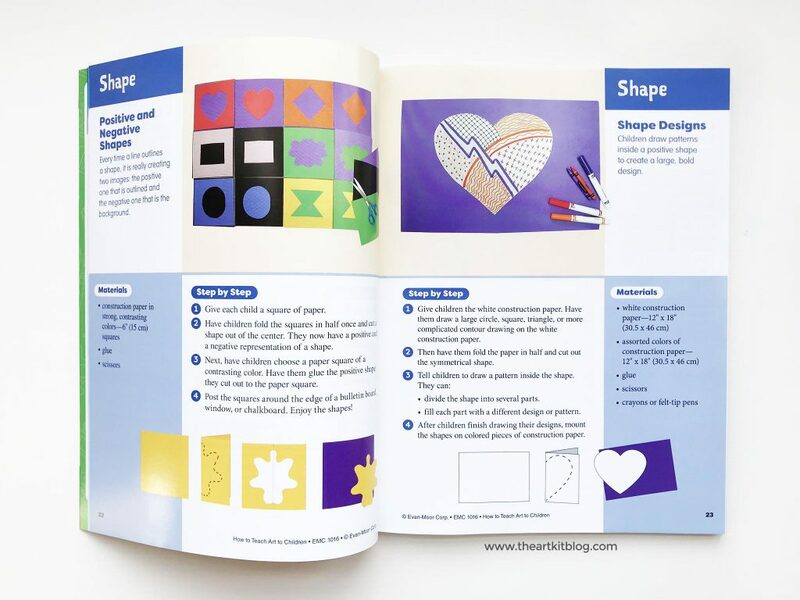 Click here to discover more fun books + games to teach children about art. 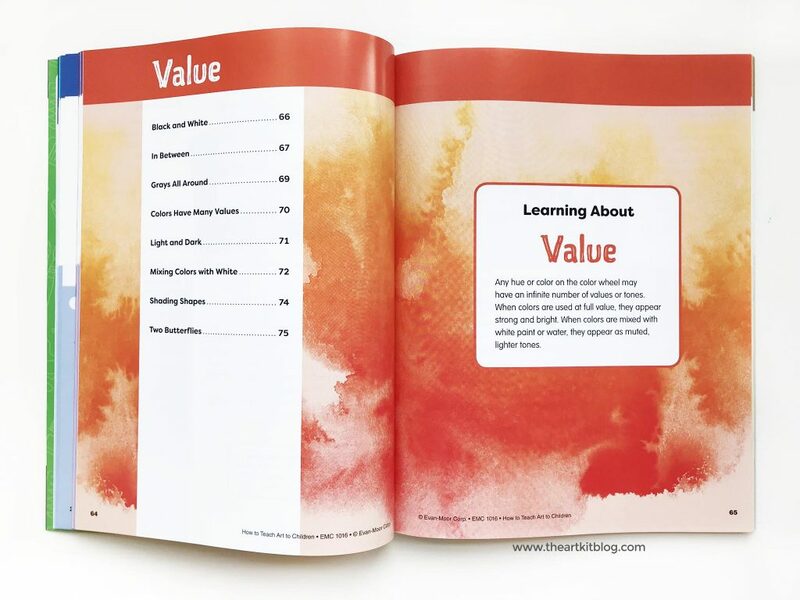 Wow, thanks for sharing some of the fun projects in this book. We just got our copy, and the kids are really enjoying it, too!